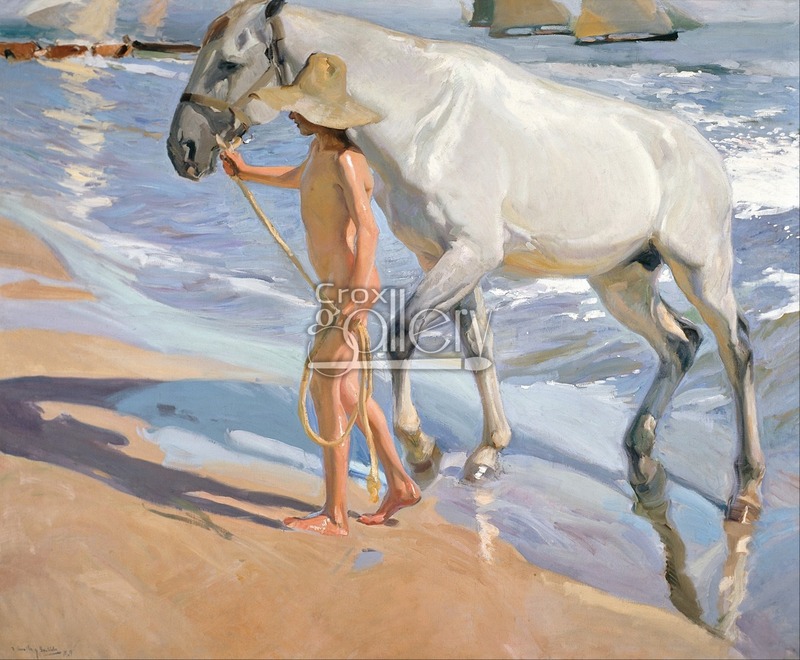 "The Horse's Bath" by Sorolla, Oil Painting Reproduction. 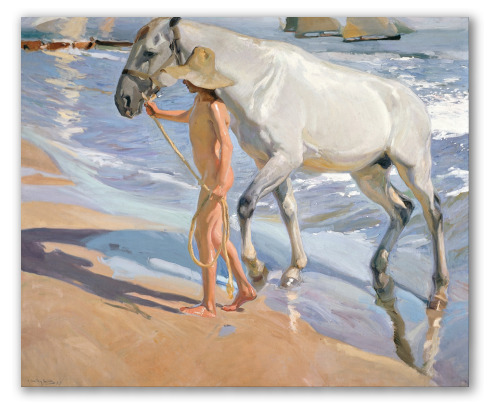 Reproduction of the work The Horse’s Bath by Joaquin Sorolla y Bastida. This painting shows a young boy leading his animal to the shore after a bath in the sea. It suggests peace and gentleness.